Enable Full VPN mode with picking a mudfish node. Then save the configuration. Then restart the program completely and visit https://myip.mudfish.net site. If you can see “it’s working” message, it means that the basic functionality of Mudfish is fine. If not there’s a problem in somewhere. If you’re using mudfish under network firewall, sometimes the firewall could block the connection from mudfish. Please try to change Connection Protocols to another and try to test this again. 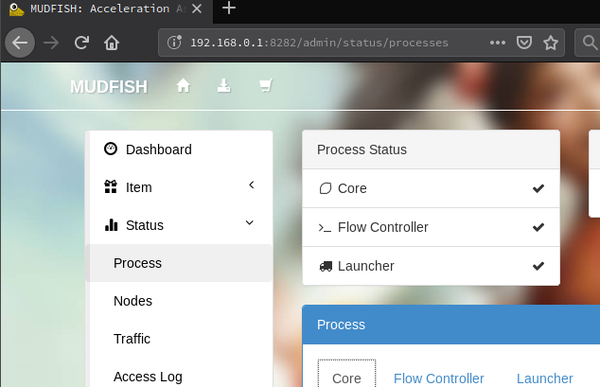 Please check the core logs at ‘Status -> Process’ menu. If you can see any warning or error messages at there, please check the error code documents for workarounds.